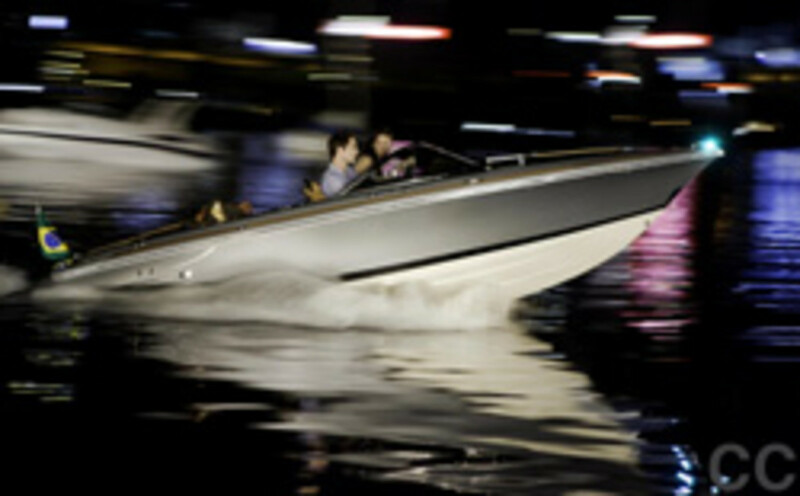 The 20-foot limited edition runabout manufactured by Chris-Craft Corp. in Sarasota, Fla., is in the “honeymoon” scenes between Edward Cullen (played by Robert Pattinson) and Bella Swan (played by Kristin Stewart), where they cruise off into matrimonial bliss to the Cullen family’s private island off the Brazilian coast. The boat was shipped from Chris-Craft&apos;s Sarasota manufacturing facility to Brazil for the first scenes with an additional Silver Bullet sent to Vancouver, B.C., for additional scenes. Available with optional 300-horse Mercury or Volvo engines, it&apos;s capable of speeds in excess of 60 mph. Production of the Silver Bullet is limited to 150 and available for world-wide distribution. The original boat used in the movie is now in Connecticut and offered for sale by private party. Click here for a behind-the-scenes video of the making of the scene.